Some like their kitchen cabinet colors to be earthy, for others it should be modern while there are some who choose retro or beat. 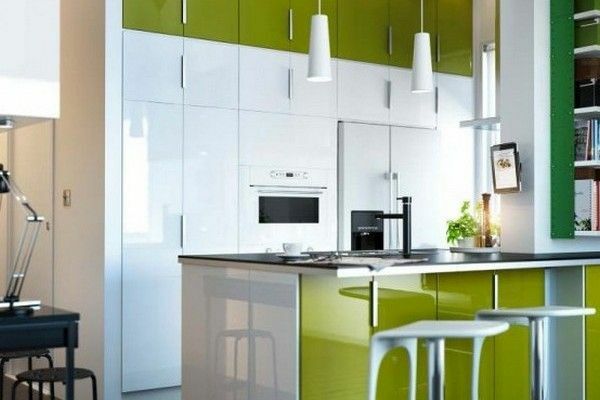 There is a wide range of styles that one can opt for to make the kitchen a reflection of your interests and personality. 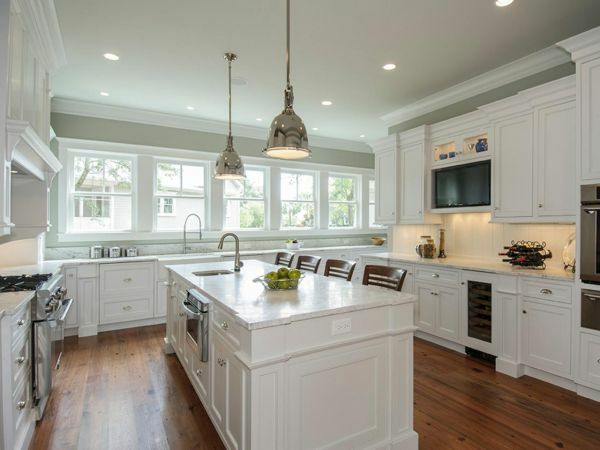 The beauty of the color white is that it can be clubbed with any color or shade and vary the kitchen’s feel from fun to elegant. It gives the room a light and airy appearance, though protecting it from the sauces and stains requires some maintenance. You can create a hearty combination with red for an elegant look, or black or grey for a modern appeal. 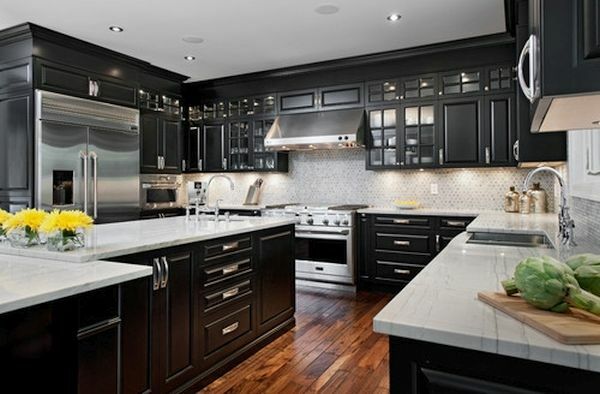 If your appliances are mostly stainless steel, then the white color is a great match. Neon yellow, pink, purple, orange or green backed with white or grey or black give the ultra-modern and chic look. These colors brighten the room by reflecting the light. While yellow is a source of energy, blue has a calming effect. Beige, white, the dark and light contrasts are classics that have an enduring effect. It looks homely yet classy and while it may be conservative, it lends a mature touch to the home interiors. Further, these interiors are suitable for all types of rooms, small, large, dark or light. Accessorizing with a vase or colored lamp shades will add a dash of brightness. 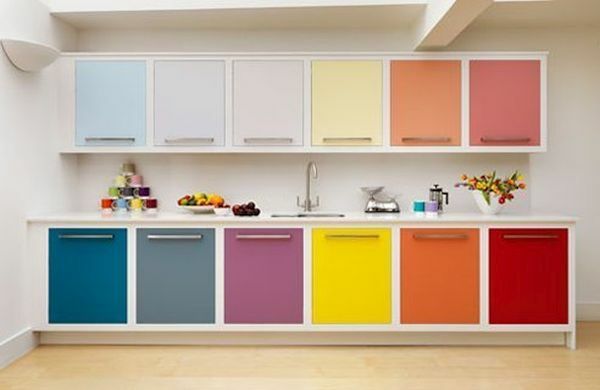 An important element of cooking is the colors, while unicolor or bi-color kitchens look sophisticated; a colorful interior makes it a fun space. 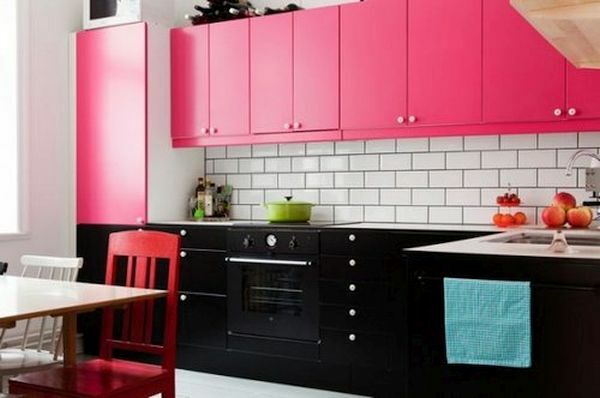 Clever highlighting of the cabinets can change the feel of the room and brighten up the area. Refreshing hues with loads of color-work can be a mood-booster. You can personalize it with colorful rugs and photo frames. Brown can never go out of fashion. You can club it with any color for a modern, classic, antique or retro look. 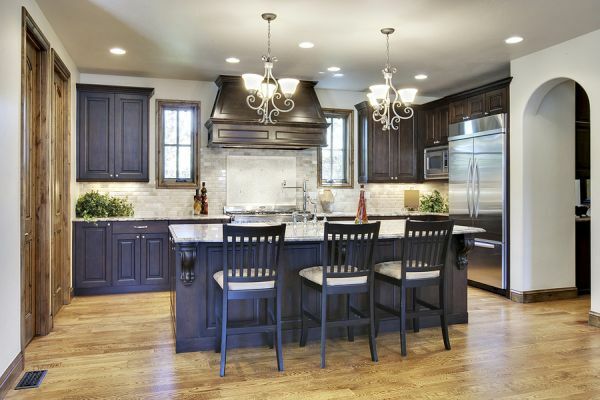 The natural wood color gives a very earthy look and feel, and dark brown brings out old time charm. 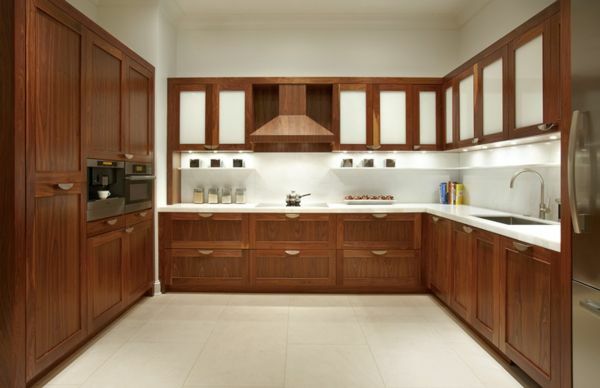 The cabinet design can alter the look of the entire kitchen. This is the ultra-modern look that is bold and sparkles in natural light. It gives an organized appearance and you can use laminates or tiles. Coupled with white lights and focus lights, the room will brighten up even at night.